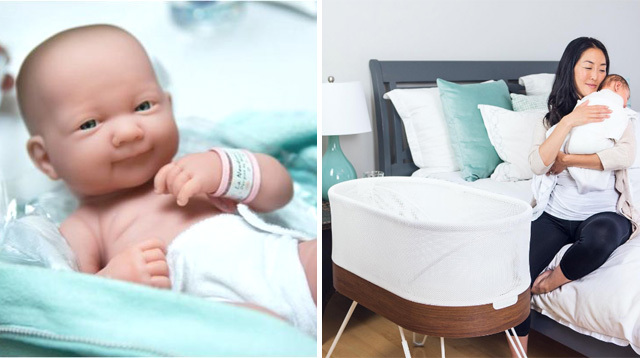 Would you like to have a doll made in your likeness? 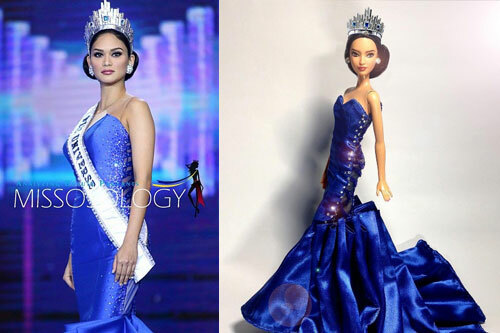 Heart Evangelista was "ecstatic" when she saw her doll version on Instagram two days ago. She reposted, "...It's meeee! Well, Barbie me!" 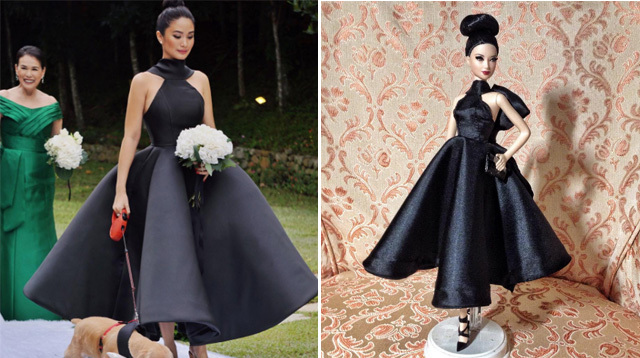 Alvin Dave Ocampo created the doll using, as inspiration, Heart's look at the wedding of her sister Camille Ongpauco two weeks ago. Heart wore a Mark Bumgarner gown. 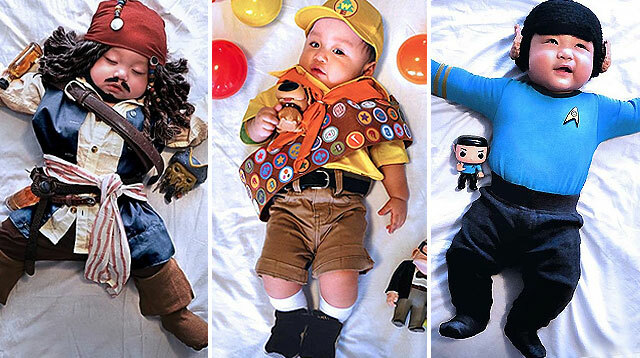 In an interview with Ocampo via Instagram Direct, PEP.ph (Philippine Entertainment Portal) learned that the 23-year-old designer started making doll dresses in 2011, and he can finish one simple mini-gown in a day. Ocampo is a big fan of fashion designers Francis Libiran, Michael Cinco, Rajo Laurel, Albert Andrada, and Mark Bumgarner. "I'm hoping to meet them soon, and be one of them," he told PEP. 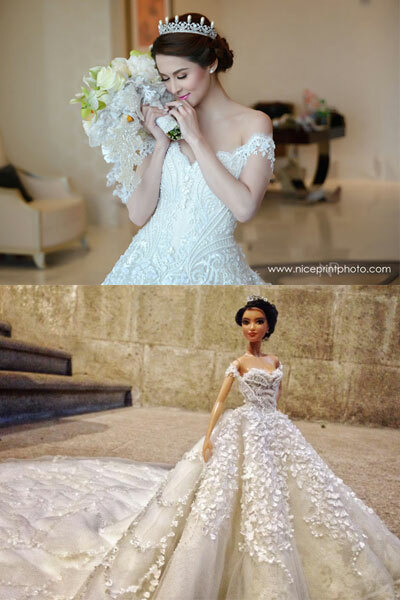 The Far Eastern University alumnus also had his own version of the Kapuso Primetime Queen's wedding gown. 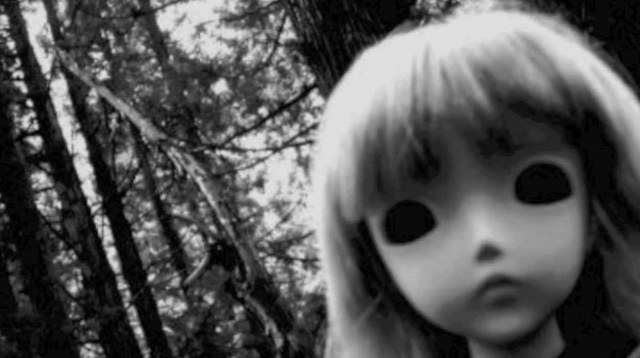 It took him two months to finish "Marian, the bride doll." 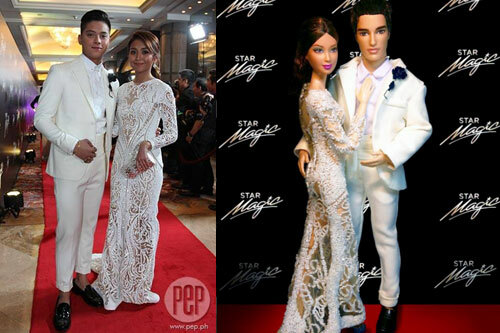 It took Ocampo three months to finish recreating Kathryn's intricate Michael Cinco gown, which she wore in Star Magic Ball 2015. 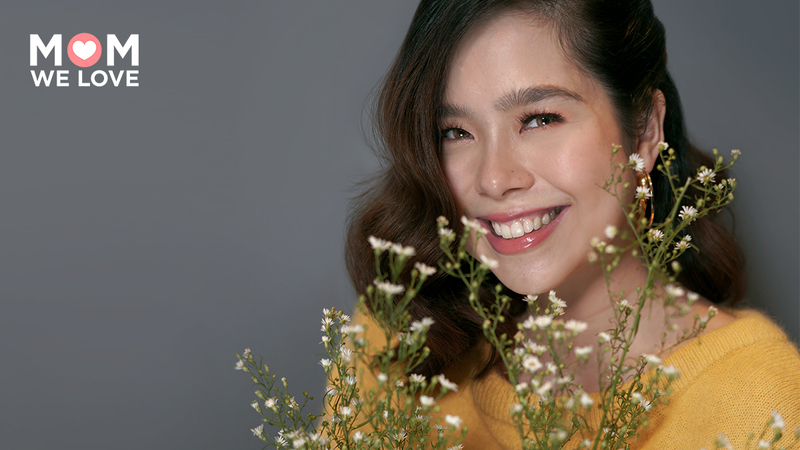 The Kapamilya star wore this dress for her movie The Gifted in 2014. She described it as her "'ready for WAR-LA dress." 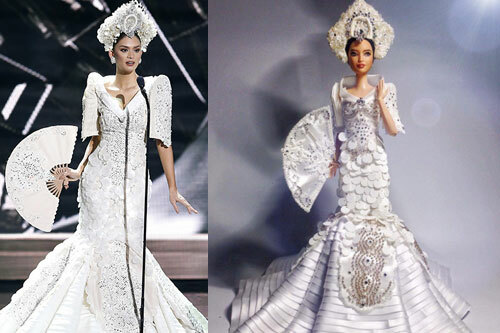 For the national costume portion of Miss Universe, our representative wore a detailed Capiz terno designed by Albert Andrada. It also comes with an equally detailed headpiece and a fan. 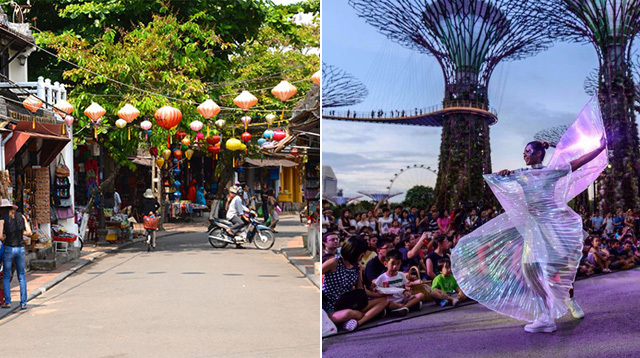 Ocampo worked on his version for two weeks. "The mermaid gown has a very simple front because I want Pia’s beautiful face to shine. The back reveals opulent details of sun rays made of beads, sequins and crystals, which represent the sun rising in the middle of a serene blue sea." 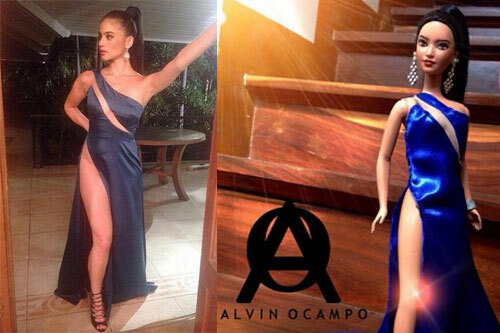 It only took a day for Ocampo to recreate Pia's winning look.